Cyber Security, also known as Information Technology security is a set of practices, strategies, processes, and technologies fabricated to guard programs, computers, network and data from damage and/or unauthorized assaults which are intended for exploitation. Powerful strategies of Cyber Security shield unapproved exploitation of technologies, systems, and networks by organizations and individuals and reduce the probability of cyber-attacks. Today, the world is governed by technology overall and we cannot live without it at all. From making the biggest business deals to catching up with an old friend or family member, technology has its main role in it. The very same technology, however, may deceive you if it’s unguarded and could proceed to loss of fundamental data and content. 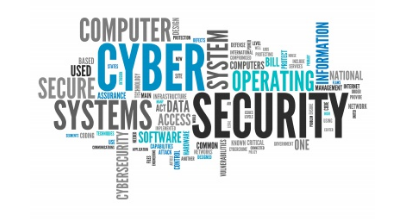 Cyber Security, alongside physical commercial security, has thus, gradually and steadily, become one of the most discussed concerns in the industry of Information Technology and business to be talked about. Data is indeed the most important resource and asset of anyone and yet one of the most vulnerable aspects. Cyber-attacks can irretrievably destroy your business by stealing your valuable data so, the security measures should be full-proof. These kinds of attacks can cause massive shattering and significant reputational and economic havoc even among the most durable corporations. If one suffers a cyber-attack, he is prone to face great losses in terms of business, assets, respectability, and as well as charges of remediation. A survey conducted in 2017 by the United Kingdom’s Government Cyber Security Breaches concluded that the average expense of a cyber security breach for a big business is around £19,500 and for small to medium business is around £1,500. All the organizations present on the internet are facing a continuous threat of cyber-attack. And the question is not if you will be attacked, but in reality, the question is when you will be attacked. Establishing a full-proof Cyber Security necessitates synchronized work and efforts throughout its course. Identification, authorization, and authentication of the user. Damage recovery is a planning strategy that consists of risk evaluation, setting priorities, building recovery policies in case of any damage. Every enterprise needs to have a solid plan to come back to normal dealing operations as early as possible to avoid a further loss after any disaster. Why are Cyber Attacks such hard to handle? One of the most concerning issues is the rapidly and continuously evolving character of cyber risks. This evolution demonstrates that the criminals in cyberspace are continuously working on new and improved ways of breaking-in through the basic security measures. As soon as consumers extend their technology use to new markets, cyber offenders start to follow them. Moreover, mobile gadgets and social media platform have provided many additional possibilities to the hackers for undermining the security of networks and computer systems. These offenders are choosing to utilize social networks over email as their prime methods of preying victims since social media has become the main mean of Internet interactions for most of the people in this era. Social networks, including sites such as Facebook, Instagram, Twitter etc. are frequently being used by the cyber offenders as mediums for executing spamming and spoofing tacks. Cyber Security and its techniques have never been simple. It demands complete dedication and focus. Reinforcing the protection and durability of Cyber Security has perhaps become the most important security mission considering the risk and potential outcomes of cyber-attacks. The loss of delicate/confidential content renders people to face fines and/or legal action imposed by the bureaucracy from customers or business partners whose information has been leaked. Over the last few years, the number of cyber-attacks have gone higher and have become more deceptive in their nature. Professionals of cyber security require a sound understanding of these threats and as well as of many others, in order to become able to tackle these challenges more efficaciously. Creativexsoft – The company offers all the services related to Digital Marketing including IT professionals that lead all the advancements in the world of Cyber Security and allow you to always remain one step ahead and carefree of these threats. 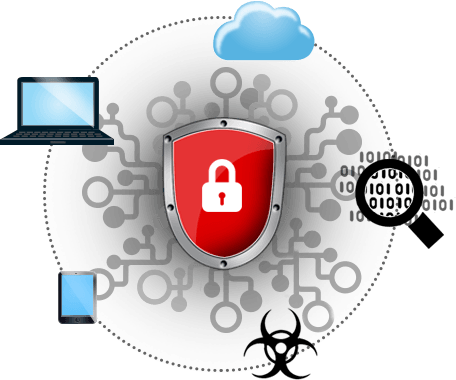 We take all preventive measures with a complete vigilance that are required to guard your data against a potential attack. We do not only provide comprehensive Cyber Security services, which help businesses to assess, improve and manipulate their Cyber Security competence, but also empower them to counter incidents and crises. The fundamental aim of our company is to provide cost-effective and quality services to our valuable clients. We complete our job by all fair and ethical means without breaching any rules and regulations. Loyalty to our customers is the first and foremost priority. Because YOU THINK, WE CREATE!